The 2017 Jaguar F-TYPE, following its legendary sports car predecessors, delivers an incredible driving experience. 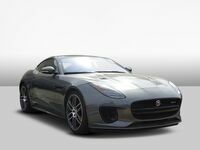 With its supercharged engine, advanced aerodynamics and lightweight aluminum construction, the F-TYPE is engineered for high performance and responsive handling. To top it all off, it comes with a luxurious interior with a range of advanced technology to keep you comfortable and connected while on the road. The two highest trim-levels of the 2017 F-TYPE are the F-TYPE SVR and F-TYPE R. Let's see how they measure up in this 2017 Jaguar F-TYPE SVR vs 2017 Jaguar F-TYPE R comparison. Both F-TYPEs deliver high-level performance. Up until recently, the F-TYPE R was the fastest F-TYPE available. With its 550-hp Supercharged V8, it can reach a top speed of 186 mph, achieving a 0-60 mph time in 3.9 seconds. However, with the recent release of the F-TYPE SVR, the all-weather supercar, Jaguar pushed the capabilities of the SVR even further. It gets an extra 25 horsepower with its 575-hp Supercharged V8, and can reach a remarkable 200 mph. It makes the 0-60 sprint in only 3.5 seconds. 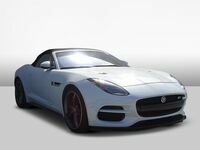 As the top-of-the line F-TYPE, it also comes with some exclusive SVR features. This includes a lightweight titanium and Inconel exhaust, chassis an cooling enhancements and suedecloth upper environment. The advantage of the F-TYPE R over the F-TYPE SVR is the lower price, with a base MSRP of $105,400, which is over $20,000 lower than the SVR ($125,950). If you desire a sports car with phenomenal performance, but don't feel the need to fork over the extra money for the extra boost in horsepower and speed, then F-TYPE R is the better choice. 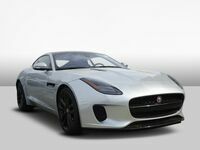 It also offers some key features that the lower-level F-TYPE trims don't have, including active sport exhaust with quad exhaust pipes, Jaguar Super Performance Braking System with red calipers, Performance seats with "R" embossing and "R" 3-spoke leather flat-bottomed steering wheel with silver gear shift paddles. 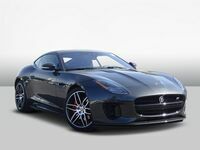 Regardless of which F-TYPE trim you choose, you'll get to enjoy advanced technology and precision built sound systems. Easily select climate control, GPS navigation, audio choices or Bluetooth telephone connectivity on the crisp color 8-inch Touch-screen in the F-TYPE center console. The all-new Jaguar InControl systems offer the latest technologies to connect you and your car to the outside world. From calls, media and navigation, to climate control and driver settings, InControl brings the latest in seamless, intuitive connectivity. Also, with Jaguar InControl Remote and Protect, you can check your fuel levels remotely, find your vehicle in a busy parking lot, record your journeys and even check that you haven’t left a window open — all through a handy smartphone app. 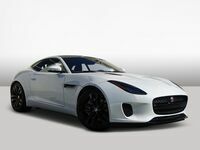 If you live in the San Antonio-area and would like to get behind the wheel of the F-TYPE SVR or F-TYPE R, then don't hesitate to contact us at Barrett Jaguar!